Effective network monitoring is necessary for a most fiber optic network in today’s telecommunication networks. There are two questions should be considered for fiber optic network monitoring. One is whether the whole signal traffic can be effectively monitored without missing any information, the other one is the transmission quality and the fiber network should not be disturbed. TAP (traffic access point) is usually added to the network for network monitoring. To meet the need of effective real-time monitoring, high performance network and high density cabling, an advanced passive device is commonly used, which is known as tap cassette, or optical tap cassette, or fiber tap. The optical tap patch cassettes provided in the market usually use LGX cassette designs. The outside look of an LGX optical tap cassette is just like an MTP LGX cassettes. However, the inner design of tap patch cassette is different. The design of tap patch cassette is easy to understand by its function—making a 100% copy of network data without affecting transmission. Thus there is a port for connecting the monitor device and port for transmission. The above picture shows the inner structure of a 2-MTP to 6-LC 40G fiber tap. On the front panel of the fiber tap cassette, there are 6 duplex LC ports for dual-way data transmission. The network traffic is split off for monitoring and analysis in a specific split ratio by a fiber splitter. Thus, On the rear panel, there are two 12-fiber MTP ports, one for data transmission and the other is used to link with monitoring devices. This simply explained how the passive tap patch cassette is being used for monitoring without disturbing the network traffic. In addition, this type of fiber patch cassette can be directly installed in the standard unit rack which has low space requirement and can meet the demands of high density cabling. Which Tap Cassette Fit Your Application? Optical tap cassette can be divided into various type according to fiber type, data rate, port type and the above mentioned split ratios. The functions of the fiber taps provided in the market are nearly the same. But how to judge which one is best for your applications? The above-mentioned factors can help you make the decision. What is the split ratios of fiber optic cassette? as the mentioned, the optical data are split off into two parts in a specific split ratio for transmission and tapping/monitoring. Which means there will be a light loss if using a tap patch cassette. For instance, if an optical tap cassette has a split ratio of 70:30, the 70% power light will be used for transmission and the 30% part will be used for monitoring (shown in the following picture). In simple, the fiber tap split ratios are the percentage of light left in the transmission link versus the percentage that is used for monitoring. As there is a light loss if using a tap patch cassette, the installers should first considerate split ratio of the tap cassette during selection. The transmission distance and light source should also be considered to determine the split ratio of the fiber tap cassette. The split ratios of the optical tap cassettes usually range from 50:50 to 95:5, among which optical tap cassettes with a split ratio of 50:50, 60:40 and 70:30 are the most commonly used. 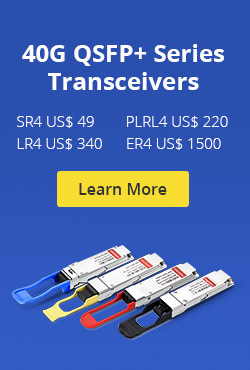 Except for the split ratio, fiber type, data rate and connector type should also be considered according to the specific application. There are 40G fiber tap and 100G fiber tap which utilizing MTP port and LC port. Tap patch cassettes with multimode fiber and single-mode fiber are all available. Adding an optical tap cassette is very easy. Here takes the example of 40G optical tap cassette (2xMTP to 6xLC Duplex) during application (shown in the following picture). Usually, an MTP to 6 duplex LC fanout fiber cable is being used to connect the optical tap cassette to the monitor devices. These fiber tap cassettes are usually deployed between the fiber link and can be used stand alone or deployed in fiber optic enclosure for better cable management. Tap patch cassette is a low-cost and easy-to-use passive device which can support real-time monitoring of the network with great accuracy. Kindly Contact fs@sales.com for or visit TAP LGX CASSETTE more details about fiber tap cassettes. This entry was posted in Network Solutions and tagged Cable Management, fiber optic cassette, fiber optic enclosure on October 13, 2016 by Alice Gui. 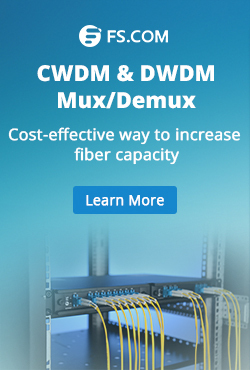 Which Fiber Enclosure Fits Your Data Center Application? Fiber enclosure, providing solid fiber optic links protection and easy & fast cable management, is becoming a must-have component in data center and server room fiber cabling. As data center cabling requirements are various, fiber enclosures also have a lot of designs. Selecting the right fiber enclosures can largely increase the working efficiency and decrease the costs of labor and time. Which fiber enclosure knows fits your data center requirements best? Here will introduce several most commonly used and affordable fiber enclosures that are used for data center cabling. There are two widely used designs of fiber enclosures in general: wall mount fiber enclosure and rack mount fiber enclosure. The functions of the two types of fiber enclosures can be literally understood. Usually, a wall mount enclosure can be installed directly on a wall for fiber cabling. A rack mount enclosure usually has an industry standard 19 inch wide rack unit (RU) design and can be installed on a rack for fiber cabling. For higher fiber count, the rack mount fiber enclosure could be 2/4/6/12RU or more. The rack mount fiber enclosure also has two versions in general. One is a fixed one with a lid which can be removed from the enclosure for fiber cabling, the other one is a slide-out fiber enclosure. Currently, the most popular rack mount fiber enclosure is usually has a slide-out design, which allows customers to remove the whole enclosure from the rack and provides easier internal fiber connection access. The front panel of a fiber enclosure is also very important which can directly affect the fiber count that an enclosure can provide and the cabling methods. To fit various fiber cabling environments and network applications, the fiber enclosure front panels come in a variety of types. Here will introduces several most popular fiber enclosures with different front panel designs. A fixed front adapter panel is usually a 19 inch wide fiber adapter panel which can be installed on the fiber enclosure to accommodate various fiber optic connectors. The port number and fiber adapter type will determine the fiber count and connector types that can be installed with the fiber enclosures. The following picture shows a 1U fiber adapter panel loaded with 24 duplex LC adapters which can provide up to 48 fiber optic connections. This fiber adapter panel can be installed on fiber enclosure working as the front panel. 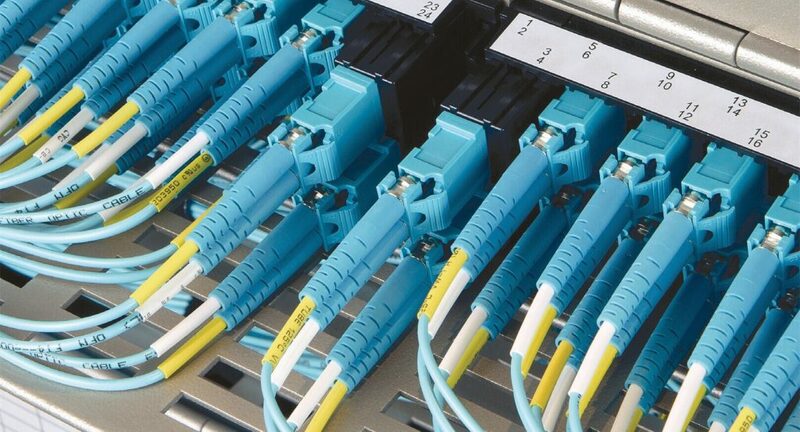 Driven by the requirement for higher cabling density and flexible cabling methods, the front panel of a fiber enclosure could be composed by several individual fiber adapter panels which could be loaded with the same or different types of fiber optic adapters. Meanwhile, these individual fiber adapter panels can provide various types of adapters and higher cabling density. Generally, up to three 12 duplex LC port fiber adapter panels with industry standards can be installed on a 1U rack mount fiber enclosure. However, a smaller version of fiber adapter panel is also provided. Up to four 12 duplex port fiber adapter panels can be installed on a 1U rack mount fiber enclosure. The fiber adapter panel that installed on the fiber enclosures required additional internal fiber cabling, which usually uses fiber pigtails. As 40G/100G fiber networks which use MTP/MPO interfaces are gradually being deployed in today’s data center, the cabling methods become more complex. To simplify the cabling methods, MTP/MPO cassettes are being introduced to the market. 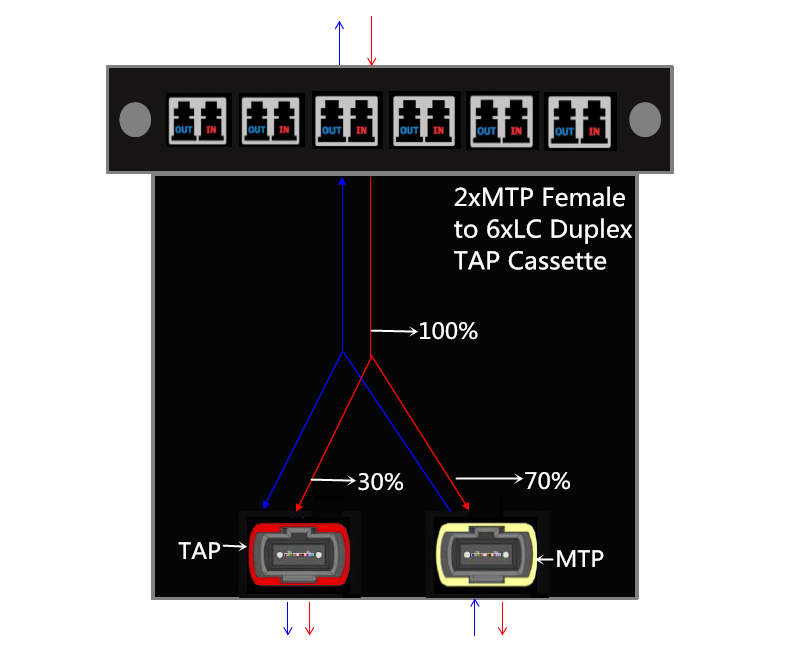 Up to three LGX MTP/MPO cassettes can be installed on a 1U fiber panel enclosure. With these cassettes, the internal cabling of a fiber enclosure could be eliminated. For higher cabling density, there is also a high density cassette. Up to four of the HD MTP/MPO cassettes can be installed on a 1U fiber panel. The above-mentioned fiber enclosures are the most commonly used ones in today’s applications. The cabling environments of every data center are different. Finding the right fiber enclosure means a lot. Excepted standard fiber enclosures, there are also a lot of customized fiber enclosures that are provided in FS.COM. The customer can design their own fiber enclosures in FS.COM according to their own applications. This entry was posted in Fiber Cabling and tagged Cable Management, rack mount enclosure, wall mount enclosure on July 30, 2016 by Alice Gui. How to build a flexible and manageable cabling system in high density cabling environment is becoming an issue which has attracted increasing attention of many data centers. Cable management components like fiber patch panel have kept upgrading to meet the increasing needs for high density cabling. Proper using of patch panel does not only provide well management for fiber patch cables in data center, but also protects the fiber patch cables and reduces the risks of faults caused by problems like bend loss, dusts and wrong connections. For ultra high density cabling like 40G and 100G connections, things would be more complex. Luckily, with clever design of fiber patch panels, customers won’t worry about fiber cable mess and faults caused by bad cable management. For 40G network, the backbone core signals are generally distributed into 4 strands of 10G signals in first. This process usually employs fanout MTP to LC fiber patch cables. For example, a 12-fiber MTP to 4 LC duplex fiber harness cable uses 8 fibers for 4 ways of duplex transmission. It means a fanout cable with a MTP connector and its 8 legs terminated with LC connector added in data center for a single duplex way of 40G transmission. In data center, a lot of 40G network should be built, which means the fiber cable count will be largely increased. Not to mention the 100G applications, which will increase at least 10 fibers for every 100G signal distribution. To solve this problem, a series of fiber patch panels have been invented for 40G and 100G signal distribution applications. Here introduce two versions of ultra high density fiber patch panels which are designed for 40G and 100G applications separately: 1U 96-fiber MTP to LC breakout fiber patch panel and 2U 160-fiber MTP to LC breakout fiber patch panel. Both of them use the industry standard rack unit design, which can be installed on any standard rack. 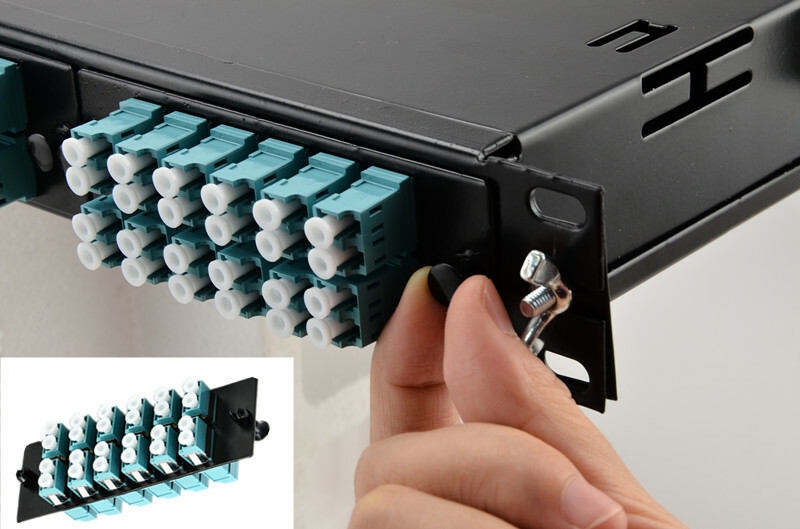 The above picture shows the details of this 96-fiber breakout patch panel. On the back panel of this unit, there are 12 8-fiber MTP adapters which are separately linked 12 groups of LC duplex adapters on the front panel. Each of the 12 groups has 4 duplex LC adapters which can support 4 ways of 10G duplex transmission. 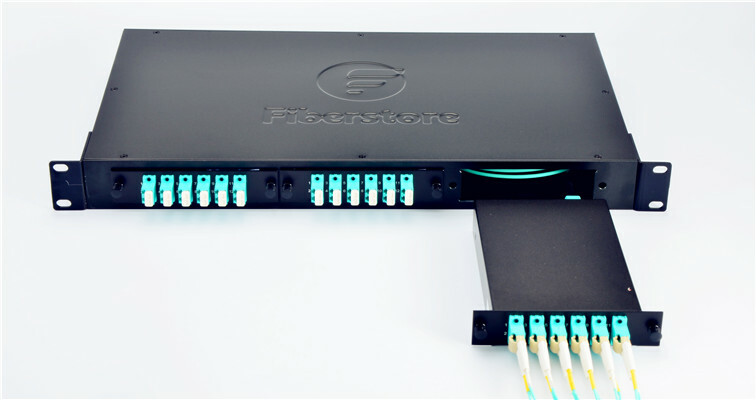 Thus, the whole fiber patch panel can support up to 12*40G transmission in duplex ways. To decrease the error connections, each port has been clearly identified by numbers and groups. A 160 fibers MTP to LC fiber patch panel uses a standard 2U rack design, which uses the same theory of the above mentions 96-fiber 40G fiber patch panel. The distribution of the 100G signals is generally achieved in 10*10G. There are 8 24-fiber MTP adapters on the back panel of this 100G fiber patch panel. Each of them connects a 24-fiber MTP adapter on the back panel to a group of 10 duplex LC adapters on the front panel. Thus, 8*100G duplex transmissions can be achieved with this 2U rack. The above mentioned 1U 96-fibers MTP-LC patch panel for 40G and 160-fiber MTP-LC fiber patch panel for 100G applications do not only decrease the space requirement for ultra high density cabling environment, but also decrease the faults caused by cable clutter, connection, disconnecting or bend loss by protecting the optical fiber in side a strong and reliable box. Kindly visit FS.COM or contact sales@fs.com for more details about ultra high density patch panels, if you are interested. This entry was posted in Fiber Cabling and tagged Cable Management, fiber patch panel on July 14, 2016 by Alice Gui. When think of cable ties, most people would firstly thought of a bunch of self-locking throwaway plastic strips. One might think a cable tie is just a cable tie. There are many uses for cable ties. And there are also a wide variety of cable ties which are designed for different applications. The plastic self-locking cable ties are the most commonly used ones. However, even these simple plastic loops come into various types according to their color, length, width, and serrations. Proper cable ties do not only provide long-life and dependable services but also better cable management, especially in data centers and server rooms which are the worlds of various cables. To choose the right cable tie for your applications, this post would like to offer some suggestions when making your decisions. Self Locking Cable Tie: The most important thing of a cable tie is its locking technology. With a good locking design, cable tie can provide firm locking for the cables. The most commonly used cable tie is also called zip tie, which is one-piece design with a lot of serration on the cable tie to lock the cables firmly. The following picture shows the structure of this cable tie. This design allows the cable tie to perform to the published minimum tensile strength. 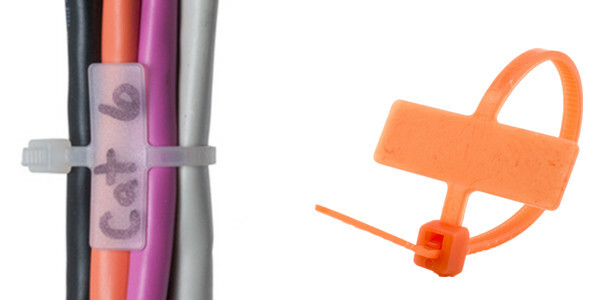 Reusable Self-Locking Cable Tie: The zip tie is easy to use and affordable. However, this type of cable tie cannot be reused, cause once the cable tie is locked it would be really hard to unlock or release it. You have to cut them down if you don’t need them. To improve this design, a little latch is added on the tongue of the cable tie, which makes the cable ties reusable. 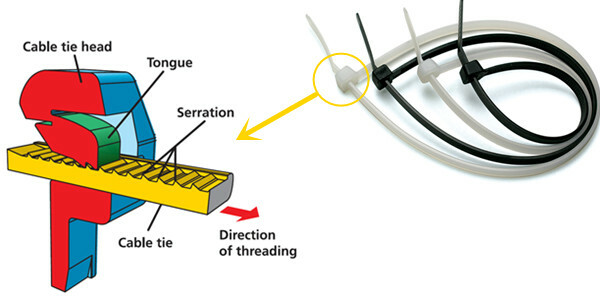 As shown in the following picture, the reusable self-locking cable tie can be easily released by pressing the latch on the tongue, which can perfectly ignore the affection of the serrations on the cable tie. Magic Velcro Cable Tie: This type of cable tie is also reusable. 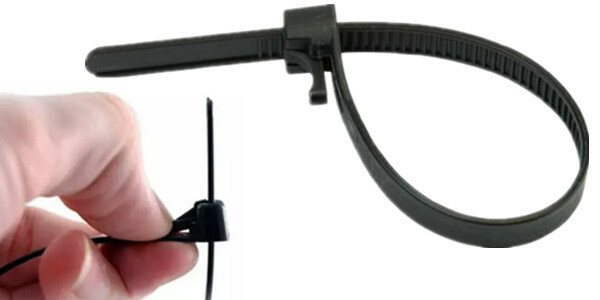 The hooks and hairs on the cable tie can provide firm locking for the cables (shown in the following pictures). And it can make cable management safer and more convenient. It is also widely used in household applications to organize wires. 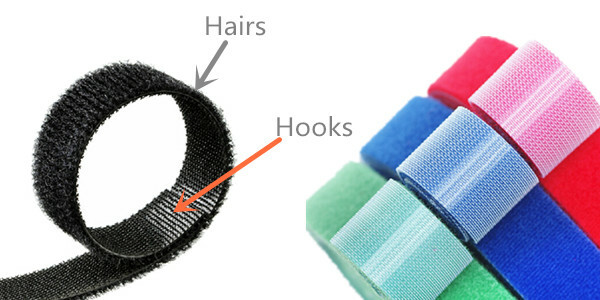 This Velcro cable tie is usually sold in rolls. Identification Cable Tie: the above mention cable ties are all available in different colors. Color is a useful feature for identification. Thus, customers can use cable tie in different colors for identification. However, it happens that the color is not enough for cable identification if there are too many cables or too much information. Then, an improved cable tie with a marker or label attached on the cable tie is offered (shown in the following picture). The function and performance are also largely depended on the materials of the cable ties. The above mentioned cable type are the most commonly used ones, which are usually made of plastic, Nylon and Velcro. However, for some harsh environment, elements like temperature and strength should be considered during cable tie selection. 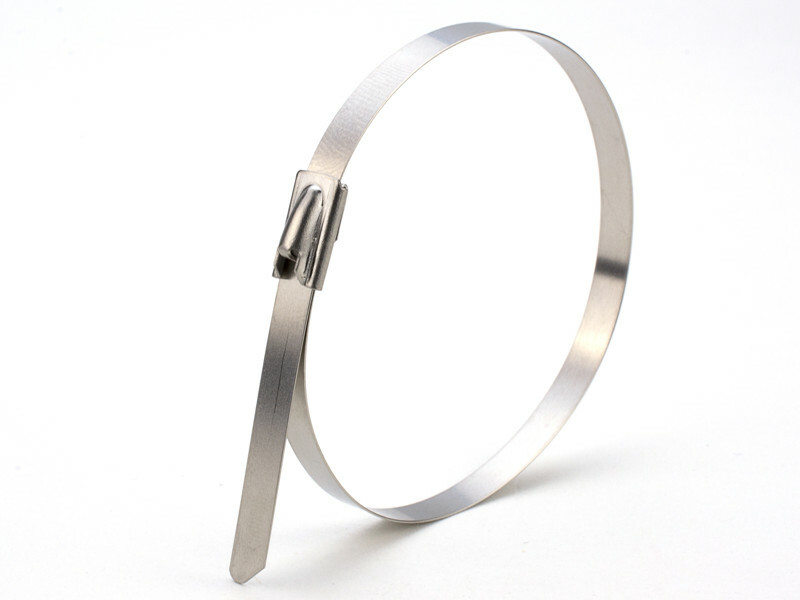 There is a type of cable tie which is made of stainless steel, usually known as heavy duty stainless steel cable tie(as shown in the following picture). It is commonly used in outdoor applications. The length of cable ties available in market ranges from 4 to 52 inches. The cable tie length should be longer than the diameter of the cable bundle. It cannot be too long or too short. The proper width of a cable tie will also help a lot. Both the length and width of the cable ties should be depended on the applications. The above mention cable ties are all listed in the following table for your reference. You can Click HERE or contact sales@fs.com for more details about cable tie. This entry was posted in Fiber Cabling, How To and tagged Cable Management, cable tie, self-locking cable tie, stainless steel cable tie, Velcro cable tie on June 24, 2016 by Alice Gui.